The Super League of Malawi (Sulom) has found Mafco fc guilty of disrupting a match in which they were playing against Mighty Wanderers at Kamuzu Stadium on 7th November, 2015 and has handed them a K605,000 fine. 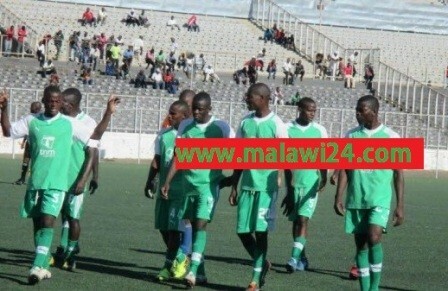 According to a statement signed by Sulom general secretary, Williams Banda, Mafco have been fined for match disorderliness in their game against the Nomads which had to be stopped for 12 minutes after the Nomads scored their first goal to level the scoreline. The statement further says that the association has fined Mafco because Richard Mbulu and Sichali brawled and threatened the referee who was in charge of the match,Wanneck Mlenga, after he had red carded Mbulu in the first half of the match. “Pitch invasion by Richard Mbulu who was red carded and Sichali who was sent to the stands in the course of the game are fined MK 150,000 each as per article 22 and MK15, 000 is for clearing the red card and MK20, 000 for the second red card and another MK20, 000 for the third red card as per article 22,” reads part of the statement signed by Banda. According to the statement, Richard Mbulu was also seen jumping over the fence to the stands at the Kamuzu Stadium contrary to the league’s rules and regulations and has been fined MK250,000 as per article 21 sub section 12 of Sulom. The statement added that Mafco are to pay all their fines without fail before their next league match which will be played on Saturday, 5 November against Kamuzu Barracks at Civo stadium. This is not the first time for an army team to be fined for disorderliness after Red Lions were also fined in April when they were playing against Sure Stream fc now Fisd Wizards. Despite kut anthuwa r from Mdf kmabe futubo managment here its poor by sulom again.MDF simafuna zopusa! So Boring,,,bwanj Kupanga Behave Lyk Akuluakulu?? the fine money z little.plz sulom one million was better punishment bcoz anthuwa samava.football z not abattle field but entertainment place.remember again Ben Hojani incident on dat boy,its the same MAFCO.punish them heavily to get lessons. Let the soldiers have their own league! they leave alot to be desired as far as soccer is concerned! The fine is too small.They climbed the Fence at Dedza Stadium when playing against Dedza Young Soccer. If they disobey the rules of fooball,punshe them severely so that others can get a leson from them. BULLETS WOOOOOOOOYEEEEE!!! Asilikali why always you why?we are tired of hearing about you always you are boring!!! !